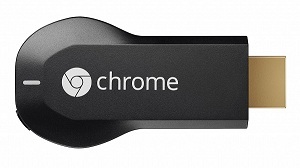 Chromecast is a line of digital media players developed by Google. Designed as small dongles, Chromecast enables users to stream audio/visual content to HD TV or home audio system with mobile and web apps that support the Google Cast technology. Alternatively, it allows mirroring of content from the web browser Google Chrome running on a personal computer, as well as content displayed on some Android devices. Chromecast devices are dongles that are powered by connecting the device's micro-USB port to an external power supply or a USB port. Video-capable Chromecasts plug into the HDMI port of a high-definition television or monitor, while the audio-only model outputs sound through its integrated 3.5 millimeter audio jack/mini-TOSLINK socket. 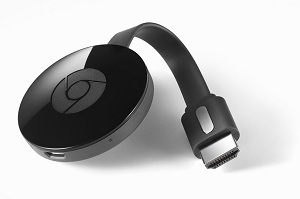 By default, Chromecasts connect to the Internet through a Wi-Fi connection to the user's local network; a standalone USB power supply with an Ethernet port, introduced in July 2015 for US$15, allows a wired connection. The new Chromecast app introduced new features to help you find apps and contents that can be used with Chromecast devices. According to Google developers, Chromecast allows users to stream MP4, WebM, MPEG-DASH video media and MP3 audio from the Google Chrome web browser to a high definition television for viewing or listening. All other video formats are unsupported, iTunes movies included. Because movies you purchased and rent from iTunes are M4V files with Apple Fairplay. iTunes still hasn't received its long-promised Chromecast support. Maybe it will never receive permission. So how to cast iTunes movies to Chromecast? Don't worry, we will provide proper ideal solution to you. Firstly, what you need to do is to download and install the iTunes to Chromecast Converter - M4V Converter Plus. 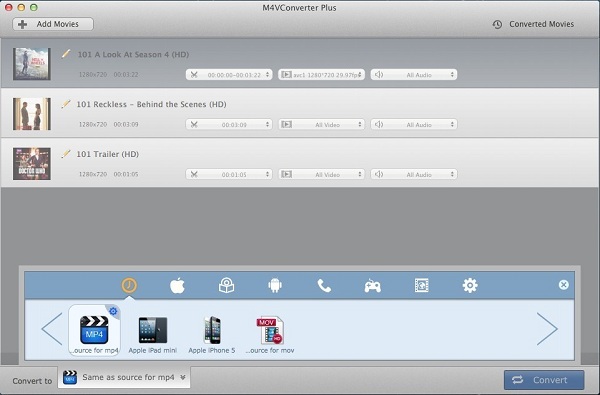 It is a powerful iTunes movie converter for Mac and Windows. With it, you can remove Apple DRM from iTunes movies and convert them to Chromecast support video formats without any quality loss. 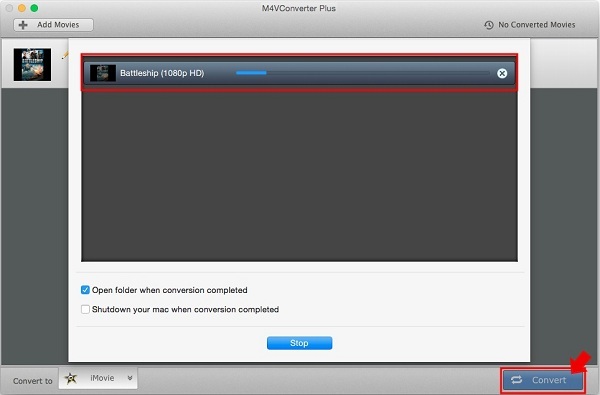 M4V Converter Plus can let you convert DRM-ed M4V to unprotected video files easily. Please read the follow step-by-step iTunes movies to Chromecast conversion tutorial. Step 1. 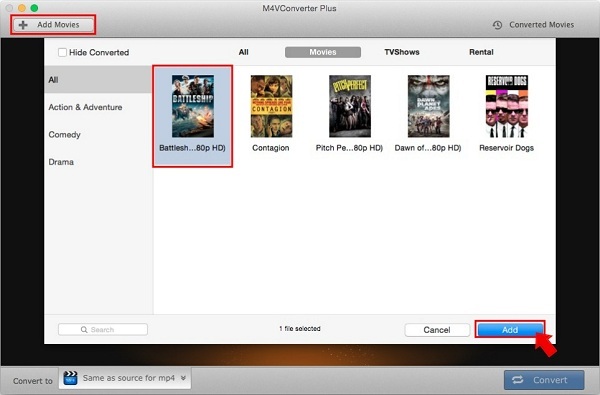 Launch the program, click Add Movies button to import movies you bought or rent from iTunes store. You can also click File -> Add Files from the main menu bar. Hit Add. Step 2. This step is very important. You can select a suitable output format for casting chromecast from iTunes. Here we choose Same as source for mp4 from Convert to profile list. Step 3. After all settings are done, you can click Convert button, the iTunes movies to MP4 conversion progress will begin automatically. The converted iTunes movies can be found in the Converted Movies folder, then you can stream iTunes movies to Google Chromecast. With the following guides, any iTunes videos that can be played on your Mac and can be played on your TV at the same time. Before you start, please make sure that you have the latest version of Chrome. You can check by clicking Settings > About Google Chrome to update your chrome. 1. Plug your Chromecast in to any open HDMI input on your TV. A: Plug one end of the USB power cable into your Chromecast and the other end of the cable into the power supply (For 1st generation, and then into a nearby power outlet). Use the USB power cable and power adaptor that is included in the box for optimal performance. B: Plug your Chromecast into any open HDMI input on your TV. C: Plug the power supply into an open outlet. (For 1st generation, if you do not have access to an open outlet, you can also power your Chromecast by plugging the USB power cord directly into an open USB port on your TV. 2. Make sure that your Mac is turned on and connected to the same Wi-Fi network with the Chromecast, and that neither is running a VPN. 3. Download and install Google cast extension for your Chrome browser. 4. Drag and drop the converted iTunes movies into the Chrome browser window and Chrome can play that video file back in a tab. Click the Google Cast extension icon, select your Chromecast, and you can Chromecast the current tab — and the video playing in it. Once the video is played in Chrome browser, you can sent it to TV through Chromecast using the Google cast extension. Casting iTunes movies to Chromecast is so easy. And if you want to find a solution to stream downloaded Apple Music offline to Chromecast via USB flash drive, Macsome iTunes Converter is one of the best Apple music converter that I can highly recommend.